21 days or more before arrival 100% refund less R200 admin costs. 14 to 20 days before arrival 75% refund less R200 admin costs. 13 to 8 days before arrival 50% refund less R200 admin costs. 7 days or less full deposit kept.
! In order to secure your group booking please contact the hostel to pay an additional 40% deposit for groups. The following group types are not accepted by this hostel: Stag/Hen/Bachelor Party, Cultural Group If you have misrepresented the type of group you are booking for, your booking may be cancelled by the hostel." Graded 4* by Tourism Grading Council, free internet and fantastic free filter coffee all day. 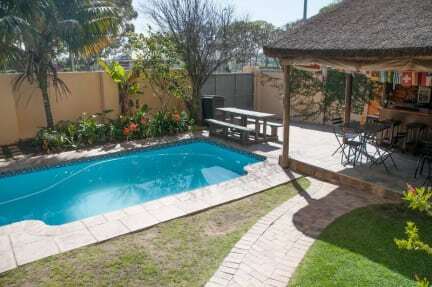 400m from Cape Town Stadium, which is in the heart of the city. We provide travellers and backpackers worldwide with a most relaxing and enjoyable fun time whilst in the Cape. Join us for a comfy stay in a friendly and relaxed atmosphere where the sun is shining and people are splashing around in the swimming pool. 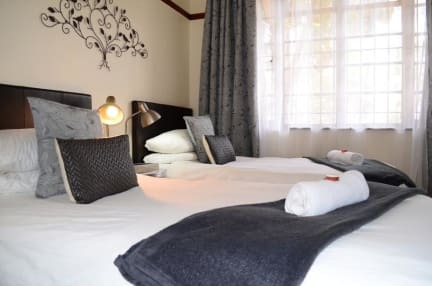 In a super convenient location with the Victoria and Alfred Waterfront just a stones throw away and the beaches and town a quick bus trip away, its the best place to base yourself if you're wanting to do a lot with your day. A Clean and friendly hostel. Large warm beds, clean bathrooms. Cape Town city center (Green Market Square). Victoria and Alfred Waterfront (Aquarium, Robben Island). The worlds most famous beaches (Clifton, Llundudno, Camps Bay). The best night life the mother city has to offer. Come and join the growing Sunflower family!